Prime Minister Shinzo Abe's cabinet signed off on the legislation, Chief Cabinet Secretary Yoshihide Suga told reporters. It will now be sent to parliament for debate and final approval. 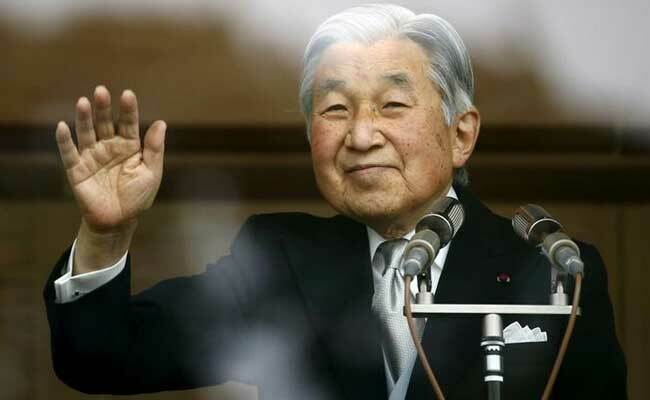 Reports of emperor Akihito's desire to retire surprised Japan. Tokyo: The Japanese government on Friday approved a one-off bill allowing ageing Emperor Akihito to step down from the Chrysanthemum Throne, in the first such abdication in two centuries. Reports of the 83-year-old Akihito's desire to retire surprised Japan when they emerged last July. In August he publicly cited age and declining health, which was interpreted as his wish to hand the crown to his eldest son, Crown Prince Naruhito. But current Japanese law has no provision for abdication, thus requiring politicians to craft legislation to make it possible. The status of the emperor is highly sensitive in Japan given its 20th century history of war waged in the name of Akihito's father Hirohito, who died in 1989. No abdication is expected until at least the end of 2018, according to reports.